Finding a Tuscany real estate agency isn't difficult, for there are literally thousands. Most towns in Tuscany will have four of five and, along the coast, that number can reach into the twenties. But finding real estate agents in Tuscany that have your interests at the heart of their business is a tough one. Who understand that you are not just looking to purchase four walls and a roof, but a home in which to realise a dream. Whose services aren't just about a sale, but start with explaining and guiding you through all of the pre-sale procedures and documents that you will need. And extend to supporting you through the change of name on the property bills, as well as any post sale restoration or property adaptation works. Taking the stress away. All in fluent English. That kind of estate agent is going to take you some time to find - and more likely than not, some noteworthy for the wrong reason experiences along the way - before you shake the hands of the one whose welcome tells you that you are in the right place. 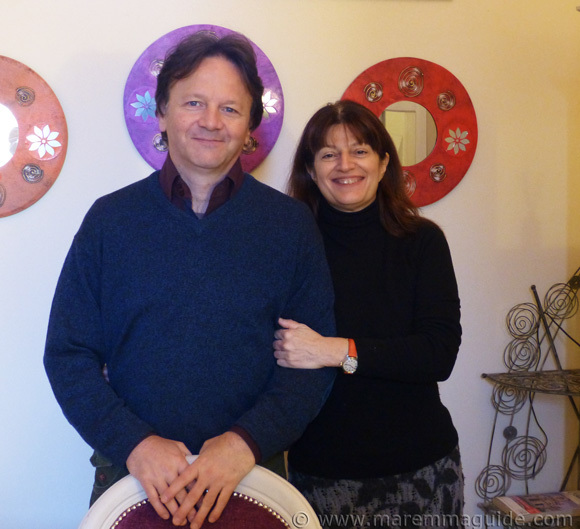 I'd like to introduce you to Rita Renzi and Riccardo Giuntini, the husband and wife team of the Tuscanary real estate agency located here in Maremma. They are the only real estate agents that I personally recommend. Together, they are the helping hands you need to make your dream of owning a home and living in Tuscany a reality. To top it all, they are both lovely people who, should you find yourself house hunting in Maremma with them, I have no doubt will also end-up becoming your good friends. Their decision to open their agency, "Tuscanary", came about as a result of their own search for a home in Maremma. They wanted a property that had a story to tell. One that they could renovate and bring back to life; ready for another thousand years of stories. And eventually they found it. Their experience, including the ups and the downs, kindled a new story of their own: to share their passion for beautiful old buildings and help others find a property in Tuscany that is just right for them. A place where they feel at home. And so Tuscanary was born. Rita and Riccardo don't list any property. They are selective. Specialising in country houses and properties in hamlets and villages with character and personality. Tuscany properties that offer something special. Whether that be their past use, the location, or their potential beauty. From impressive Tuscan estates, to villas with private access to the sea. From restored farmhouses and traditional stone houses with hectares of land waiting for new owners to bring them back to life, to light-filled apartments in Maremma's medieval villages. Something for everyone. The link at the bottom of this page will take you directly to their web site, and the one below to the featured Maremma property of the month. This three story stone-built Tuscany town house is waiting for someone who needs some magic in their lives. It's splendid rooms have been fully restored but one still holds a surprise from the day it was first painted in 1881. Take a look inside Number 3 in Via Vittorio Veneto. To start your own property hunt with Rita and Riccardo you need to decide on a few things. The more information you can provide, the easier it will be for them to find the right property for you. The territory that Rita and Riccardo primarily cover is that of Maremma - the whole of the Grosseto province down to Monte Argentario in the south, to the borders with Montalcino in the west. However, through their selected network of agencies throughout Italy, they can find properties for clients as far south as Sicily. 1. Your budget. And it is here that I need to warn you that, even though the housing market in most areas of Tuscany is dormant at the moment, and properties in Maremma - apart from along the coast - tend to cost a lot less than other more famous areas of Tuscany, the asking prices are still probably more than you think. You are probably going to have to do some compromising. 2. Location. The maximum distance from an airport if that is important. Distance from the coast and schools if applicable. 3. Isolation. How much? A lot of detached country properties in Tuscany are down single-track, un-tarmacked lanes, and/or surrounded by woodland. Is that OK? Or would you prefer to be near to other residential properties? 4. Is old Tuscan style, stone-built a must have? 5. Size. How many bedrooms? 7. Completely renovated or would you consider doing some work? In the case of the latter, you will need to give a rough available budget for the works. That will do for now! Go ahead and contact Rita and Riccardo. Contact Rita and Riccardo directly from this page via this email form. Monday to Saturday, between 09:00 and 13:00 and 15:00 to 19:00 on +39 0564 967255 or +39 339 3973648. Their address is Via Trento Trieste, 42 - 58038 Seggiano (GR) Italia. The office is open by appointment only as they are often travelling around showing people properties or looking for new ones. If you'd like to have a video conversation with Rita via Skype, let her know - send her an email via the contact form above - and she will get back to you to arrange a convenient time. 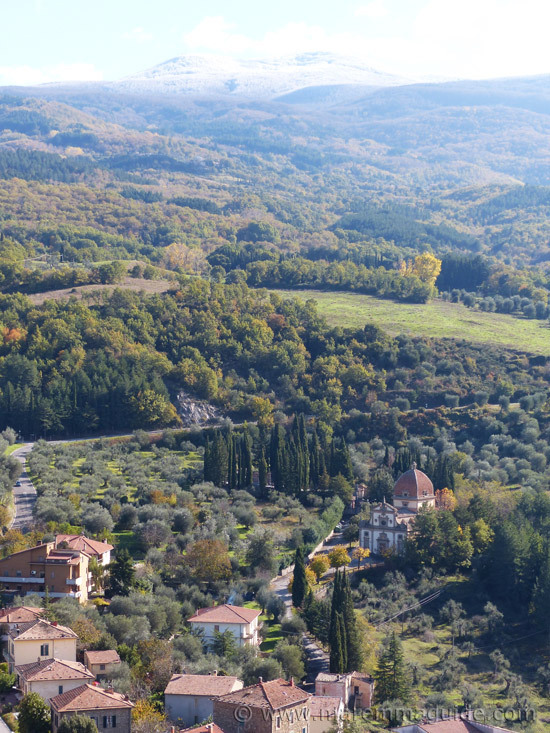 It is literally brimming with stunning properties for sale in Tuscany. Have fun browsing.